Some months I finish up a ton of interesting products, other months are like the last where I use mostly staples and beauty basics. As always, let's go over the products I finished, some that I'm decluttering, and then I want to try to describe how my Empties posts will change in 2018! These are basic cotton squares that I use with micellar water to take off my makeup. They're pretty soft and a good value, this pack lasted me a long time and I repurchased it. I received this several months ago to review and ended up really liking it! You only get 15 ml in this and it's quite expensive, so I don't think that I would repurchase it, but I did use it almost everyday. Before my skin was used to it the product gave me a slight tingling feeling, but it went away as my skin acclimated and instead left my skin feeling plump and hydrated. The Medicated Berry Blistex used to be my favorite, but the ingredients include an irritant which dries the lips out over time so I don't know if I want to use either of these products anymore. I won't repurchase them for now. What can I say about a deodorant? It smells okay, nothing overpowering, but it can leave white streaks on darker clothing. I had an issue with a deodorant a few years ago that gave me a rash but this one did not do that! I have one more tube of it and then I'm switching to a cruelty-free option. Since using this product (in combination with a few serums) I have not had any dry patches, even in this harsh winter weather! I absolutely love this moisturizer and I use it every day. I bought two backups the last time I purchased from the Ordinary, but I gave one to my sister and just opened the next. Luckily they are now available at Sephora! It's a thicker moisturizer than I expected, but my skin absorbs it really quickly and it doesn't feel greasy at all. It also has no scent. This moisturizer became available in a larger size, which I will absolutely be purchasing. I got this in an Ipsy bag a few months ago. I didn't mind it at first, but it started getting very clumpy after a month or so. 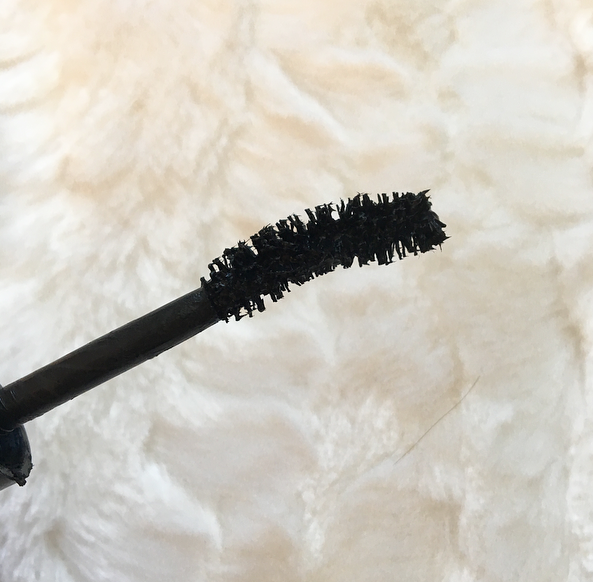 If you like a bit of clump, you may like this mascara, but I hate it so I wouldn't purchase the full size of this. I've had this purple trio for ages and I haven't reached for it for years. It's time to get rid of it, I don't like the formula and if I want to wear this shade I would reach for one of my palettes. Usually I love perfume samples, even if it isn't one that I'm a huge fan of, but I hated this perfume. If you like rosy scents you might want to check it out, but rose scents give me a headache so I couldn't wear this fragrance. I received this from an Influenster box but obviously that didn't influence my opinion on it, since I'm passing it on! 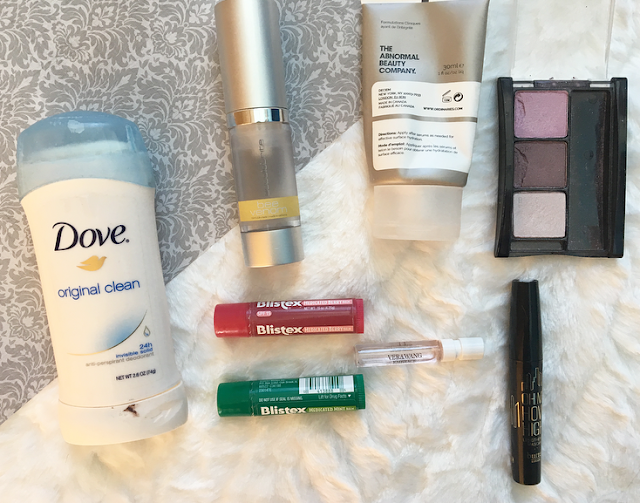 Starting in my next empties post for January, I will be doing things a little bit differently. I really need to cut down on my makeup spending and focus on using up the products that I already own. Kat from Beauty News (KitschSnitch is her solo channel) did her 2017 Project Pan in an interesting way that focused on using up a certain dollar amount of product in one year. She ended up using more than $1000 worth of product in her Project Pan alone! I found that really inspiring, so I want to do the same in both my 2018 Empties and my Project Pan. $1000 is a bit much for me, especially because I use a lot of drugstore products in my Project Pans, so I want to use up $200 worth of product in my Project Pan and about $500 worth throughout my Empties posts. If after a few months these values seem too easy or difficult to reach I might adjust them, but for now I think it's a good goal. I also might have the philosophy of not spending more on makeup than what I can use. If, for example, in January I finish $50 worth of products, then in February my beauty spending has a $50 limit. Again, if this is too difficult I might adjust it but I think that would help me control my spending and only buy what I need. Let me know what you think of this idea and if you have finished up any products lately! 11 comments on "December Empties"
I only get to finish bath products but I recently finished some serums and cleansers that I am saving for an empties post. I bought some of the Ordinary products too and I re-purchased the Ordinary Hyaluronic Acid 2% + B5, such a lovely and light serum. It's so refreshing to see more and more bloggers are jumping onto the Project Pan bandwagon and I hope to do the same myself. This year I really want to minimize my beauty spending and rediscover my old favourites more. I am a very fickle person by nature so it's going to be quite the challenge for me. I've been gathering products for an empties post for a while now, and now it's just got out of hand...! The Accelebrite Bee Venom Serum sounds interesting! That is such a cool idea to give yourself a beauty budget based on how much you empty! It really really forces you to think about if you need something or not. This will be the year where we kick our bad spending habits to the curb! Oops, I meant how, not hoe, sorry! I will have to try it, my lips are so dry as well!